Hospitals and clinicians worry that an HHS proposed rule that allows providers to refuse service based on religious or moral grounds is too broadly written and could lead to the loss of millions in federal reimbursement. The proposed rule issued in January, would require providers who participate in Medicare and Medicaid to create a set of standards and procedures that protect the religious and moral rights of their employees. 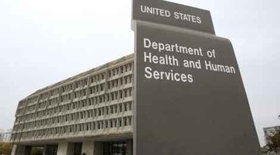 HHS said the rule responds to a series of complaints from providers who have been coerced or discriminated against when asked to perform services related to abortion, sterilization and assisted suicide. Comments on the rule were due today. The agency received nearly 70,000 letters. HHS said it intends to enforce and provide clarity to 25 existing statutory protections. But the proposal does not outline what recourse providers will have to give their side of the story if an employee believes he or she was forced to provide a service against their beliefs, said Tom Nickels, executive vice president of the American Hospital Association in a comment letter. Sister Carol Keehan, president and CEO of the Catholic Health Association, in another letter said she supported the rule overall, but hoped that providers facing a potential loss of federal funds would receive a notice, hearing and an opportunity to appeal. The rule also was written in a way that gives too much leeway to those opting out of providing service. Providers would "have a general right to decline to provide care for any reason, moral or religious, or for no articulable reason at all," Daniel Bruner, senior director of policy at Whitman-Walker Health, a federally qualified health center in Washington, D.C., said in a comment letter. That scenario could hurt hospitals and patients, Nickels said, especially if an employee did not give the employer advance notice of the objection. "Given that mental and behavioral health resources for the general patient population are woefully inadequate in our state, we strongly urge policymakers to especially consider the potential any new regulation would have for underserved patients who are also seeking this type of care," wrote Cristy Garcia-Thomas, chief experience officer at Aurora Health Care. The LGBT community, too, could see access denied since it often faces prejudice. The American Medical Association wrote in support of protections for physicians opposed to abortion, but overall notes that physicians' freedom to act according to conscience should not unlimited. For example, the proposed rule does not address what protections the patient has in emergency situations. All hospitals with an ER and receiving Medicare funds must comply with the federal Emergency Medical Treatment and Labor Act, which requires them to treat and stabilize any patient arriving at an ER. Without details on how to address EMTALA, the new policy could be perceived as allowing providers to bypass the federal law. "This could result in danger to patients' health, particularly in emergencies involving miscarriage management or abortion, or for transgender patients recovering from transition surgery who might have complications, such as infections," wrote Dr. James Madara, CEO of the AMA. Implementation of the rule is expected to cost $312 million in the first year and $125 million annually over the next four years. HHS' Office for Civil Rights said it's seen an increase in religious-related complaints in the past year and a half, clocking in 34 complaints since November 2016. Prior to then, only 10 complaints had been filed during the Obama administration, according to the agency.